How do you know if you have an ant problem in your home? The most common type of ants you’ll find in the home are typically a foraging species that get into food storage areas and transfer bacteria. While ants are unlikely to carry serious diseases, they can cause a nasty surprise when you open up your cabinets in the summer. Carpenter ants can bring their own array of problems by chewing through the wood in your home, and potentially lead to costly repairs for the structural features of your house. On the other hand, fire ants raise another kind of problem, as they can bite and cause painful irritation to the surface of the skin. In these situations, the best solution is to contact an ant exterminator. Portland-Vancouver pest control professionals will correctly identify the species of ant infesting your home and take safe and appropriate action to clear your home of these pests. Each of these kinds of ants can be identified by where they are found in the house, but it takes a pest control professional to locate and exterminate. Here are some tips to help you figure out if you need pest control in your home. Ants in or around areas of food, such as the kitchen cabinets and along entryway doors are not always a sign of an ant infestation that needs an exterminator. Especially during the warmer months of the years, ant colonies send out scouts to find sources of food and potential nest locations. One or two ants, especially in an area where there is old food or rotten wood doesn’t necessarily signal the start of an infestation, but those areas should be cleaned up and trapped to prevent more ants from moving in. However, if your home has a large population of ants around areas of food, or you find carpenter ants in an area with no rotting wood present, you may have an infestation. Many times, if you can hear ants in the walls by leaning your ear to the surface, that is the sign of a large colony that needs a professional ant exterminator to treat. While individual traps are useful for small ant problems, they do not take care of the whole nest. 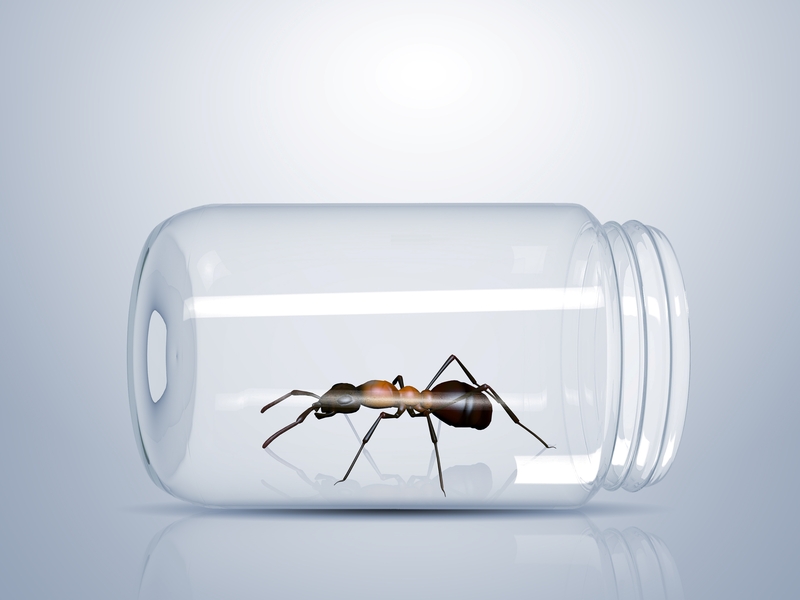 This is why your best option is to contact a professional ant exterminator. Portland & Vancouver homeowners can protect their families and possessions with effective pest control services as exterminators can effectively treat the structure. If you are looking for an ant exterminator in the Portland-Vancouver metro area, contact The Bug Man. With an experienced team of exterminators who specialize in pest removal and control, you can remove the ants from your home in a snap.